Currently viewing the tag: "julep"
Nota Bene: This post contains sponsored links and content! I will be compensated for any purchases made by clicking the links below. Thank you for supporting girldust! 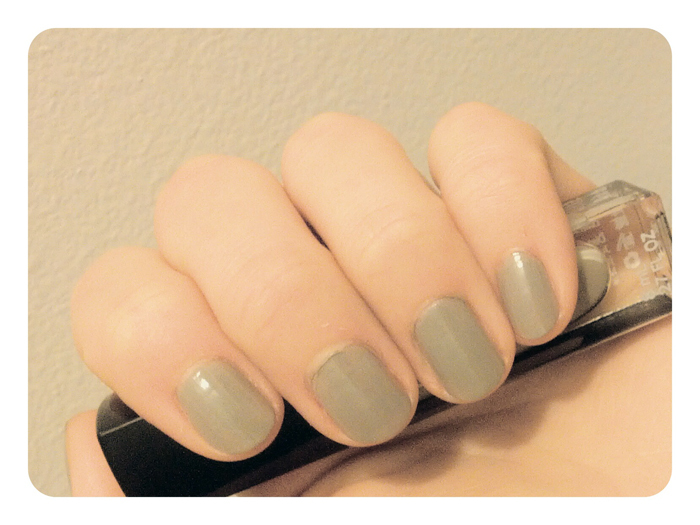 It’s been quite a long time since I’ve written a nail polish post. This one is a little special, so keep reading. I used to take dance classes when I was in elementary school. This was not the sort of competitive dance that I think a lot of people are familiar with. It was ballet, mixed with modern dance elements, taught by an aging-hippie. Her name was Linda. She let my mother pay her in sewing lessons when she found out we couldn’t really afford it. She put glitter gel on our faces before performances, calling it “faerie magic.” We warmed up to Two Princes by the Spin Doctors. For my first Sugar Plum Fairy performance, I wore my mother’s blush and a frosted pink nail polish. I felt beautiful. I felt like a different person, or a braver, slightly pink-er version of myself. For that few minutes on stage, my insecurities and ongoing worries completely melted away. My closest friends in that group of girls carried burdens that I wouldn’t learn about until much later (burdens much to heavy for any child to bear), but I think and I hope, that those Saturdays helped them as they helped me. Linda was a faerie godmother. Winter will always remind me of our abridged version of The Nutcracker, and that feeling of beauty, despite being so awkward and shy and unsure of the space my body took up. Whatever happened on stage for me was magic. I never wanted to take off the glitter off my cheeks or the polish off my nails. I wear about as much pink now as I did then (which is… not much), and I still have a penchant for shimmer. When December arrives, my polishes come out of their summer-induced hibernation. These are four of my favorite festive shades from my current collection. And these are on my wishlist. If you like glitter, some of these swatches may have you tempted to become a Julep Maven. The new Snow Day Welcome Box from Julep (a $58 value) is the perfect opportunity to join, and will get you in the holiday mood. It’s got a bit of shine, a bit of sparkle, and a top-rated beauty product as a bonus. As a Julep Maven subscriber, you get first access to trend setting colors and top-rated beauty products every month in addition to plenty more perks. I love being a Maven. 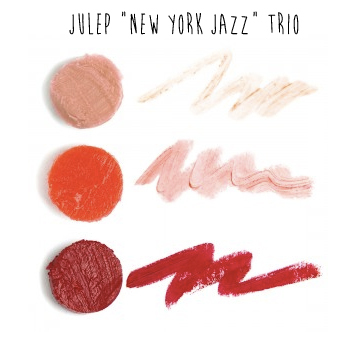 Julep is the only customizable box of full-size, limited-run nail colors and new beauty products. That means no surprises, no duplicates, or any colors you don’t like. You see what’s in your box each month and have the option of swapping out colors and products you already have or don’t want. You also have the option of skipping out on a month, without losing your opportunity to participate the following month. This is one of my favorite things, especially when the colors aren’t up my alley (neons), or I just don’t have room for polish in my budget (holiday shopping). 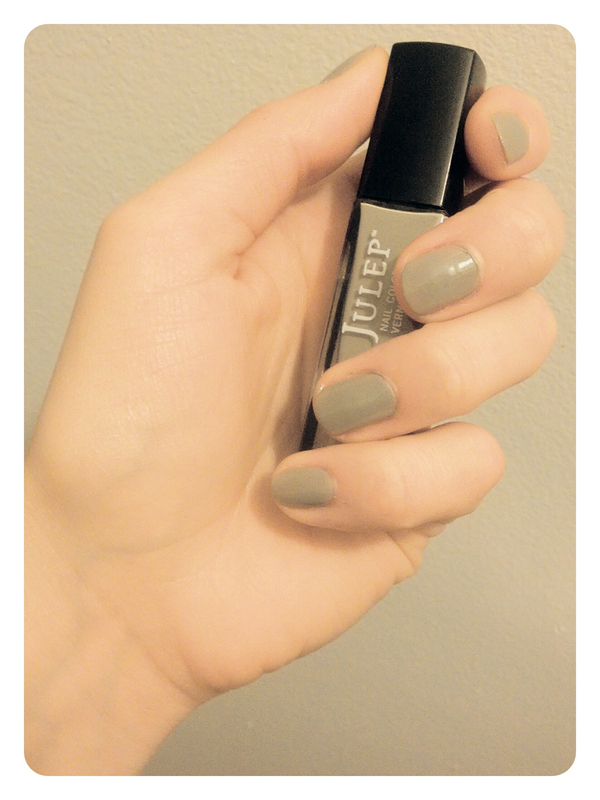 Julep polishes are vegan-friendly and free of toxins! You get over $40 of full-size products in every box for an affordable $24.99 per month. A Maven subscription makes a great gift, too. Become a Maven today, use the code FROSTY to get your own Limited Edition Snow Day Welcome Box Valued at $58 FREE for New Maven Subscribers (Pay $3.99 Shipping). Spread a little faerie magic with some sparkle on your fingers! Yesterday I received May’s Maven box from Julep. This was actually my first box aside from the introductory shipment, so I was pretty excited for it to arrive. This month’s new color collection is a 1920s inspiration, definitely something I can get behind. I was into all the colors, but especially in love with the two shades of purple I received in my default “Boho Glam” box, “Alice” and “Millie.” I also received The New York Jazz Trio, which is a set of three mini lipsticks. I am pretty cautious when it comes to lip color, so I wasn’t necessarily looking forward to these as much as I was the polishes, but it turns out two of the three colors are beautifully sheer. I’m going to be using “Satin Doll” every chance I get. The formula is so soft and the lipsticks smell lovely. Is that normal? I don’t know what lipstick is supposed to smell like. I love getting these little colorful gifts in the mail (nail polish is basically paint, and that makes me happy), but I also really love that I can opt-out easily if I’m uninterested in the colors (or, you know, broke for the month). Happy Thursday! Treat yourself to something lovely, this afternoon, whether it’s a manicure, a milkshake, or an hour alone with a book.